The Brother PE770 5×7 inch embroidery is a machine meant to take your embroidery to a higher level. It is built for designers who want to stick designs on bags, home decor items, and jackets. The Brother PE770 embroidery machine is very versatile and easy to use. It offers more space where you can rotate and combine designs, lettering, borders and frames to produce truly customized creations. Apart from purchasing or creating your own designs, this embroidery machine comes with 136 built-in designs giving you more choices. 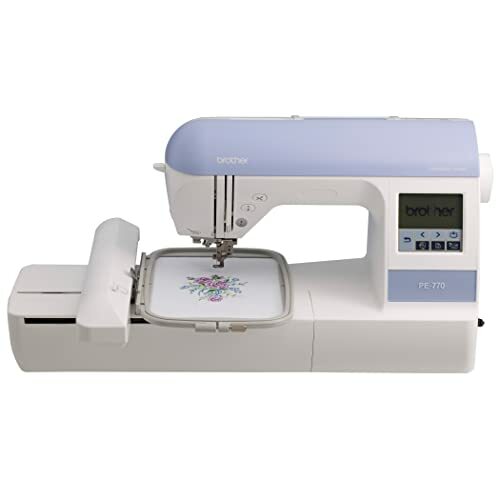 This super machine has six embroidery alphanumeric fonts to make your designs elegance. It reaches a speed of about 650 stitches per minute and exceptional sewing speed of 850 stitches per minute. Included accessories dust cover, bobbins, seam ripper, cleaning brush, needle set, spool caps, screw drivers, scissors, spool net, accessory bag, reference guide and manual. The large 5×7 inch embroidery area offers you ample space for larger monograms and lettering, integrating designs with minor rehooping and also for colossal designs on tote bags, jacket backs and quit squares. 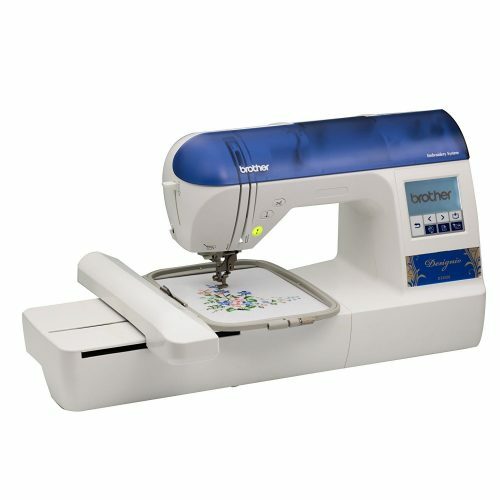 This embroidery machine is easy to use featuring a backlit touch screen. The 1.4″ x 2.7″ screen gives you the ease of accessing sophisticated designs. With this screen, you can easily access and navigate through the editing features to come up with a superfine design. Embroidery has never been this exciting! You can mirror-image, rotate, decrease and increase the size of your desired designs. Finally, view how your chosen and edited designs appear, on the LCD screen, before stitching. The editing features allow you to produce wonderful designs. Read more: What Embroidery File Format for Brother is the Best? It has built-in memory to allow you import designs directly from a USB. You can also purchase and import designs from iBroidery.com and also other websites. 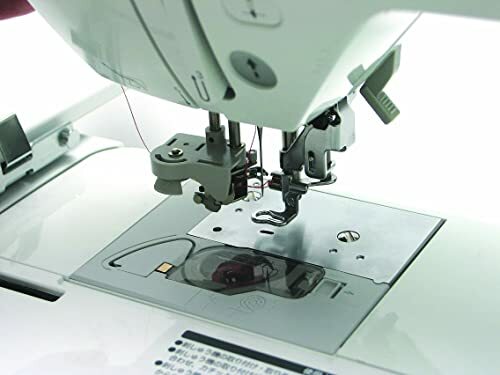 The embroidery card slot allows you to stitch designs right from Brother PE770 embroidery cards. 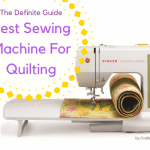 To ensure easy threading, follow the numbered chart printed on this machine. Then, the automatic needle threader ensures the thread is forced through the needle’s eye. 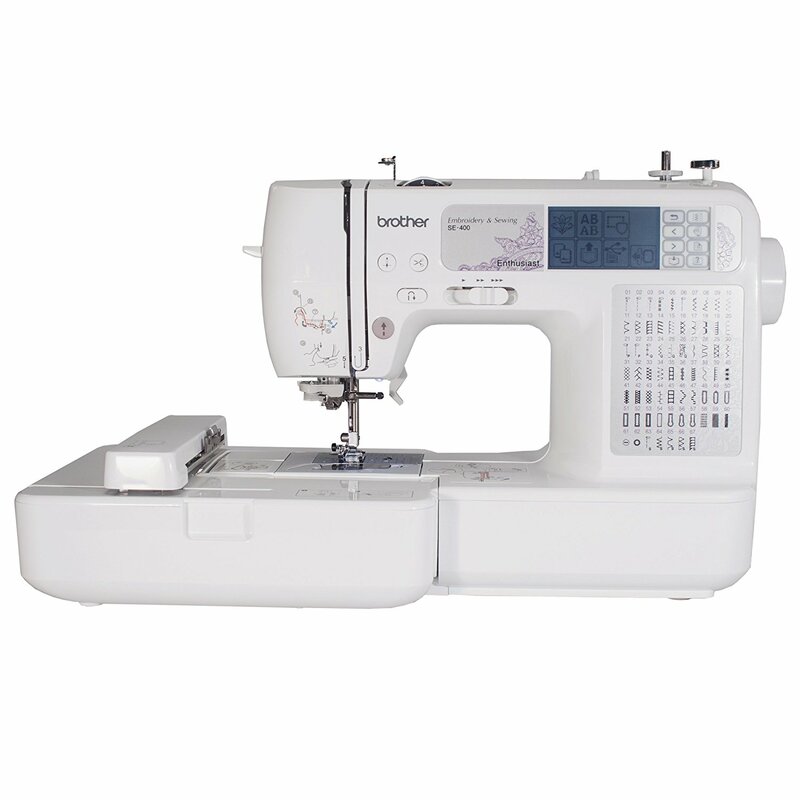 This machine guarantees easy threading as compared to manual embroidery machines. The auto thread trimmer is a sure time-saver. It allows you to cut the lower and upper threads by just pressing a single button. With the quick-set bobbin, you will start embroidering within no time – simply place in your bobbin, and pull the thread via the slot. The Brother PE770 is meant to give you an upper hand in designing. With numerous editing options, LCD screen display, and built-in memory, this machine beats all the previous models. Consequently, it has a few shortcomings and most users appreciate its performance. 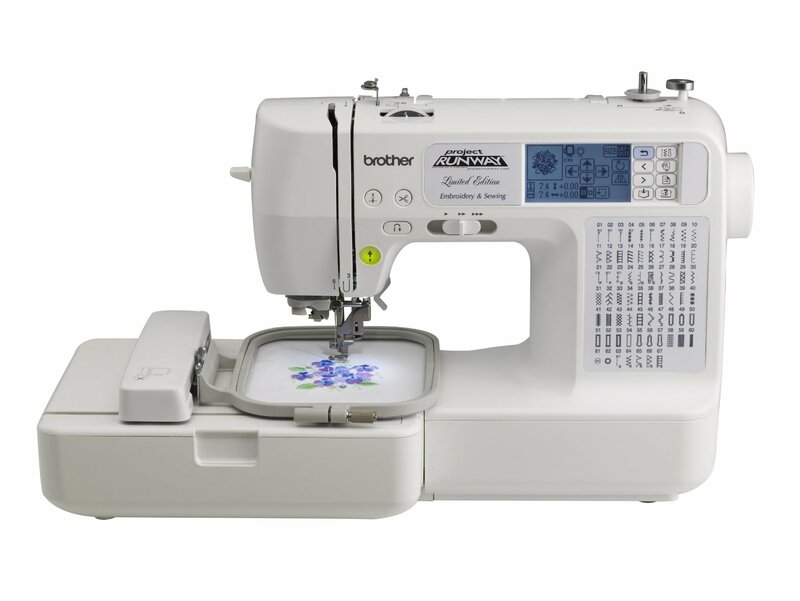 The Brother PE770 5×7 inch Embroidery Machine is a great investment for numerous sewing designs, appliqués, patterns and other customized creations. 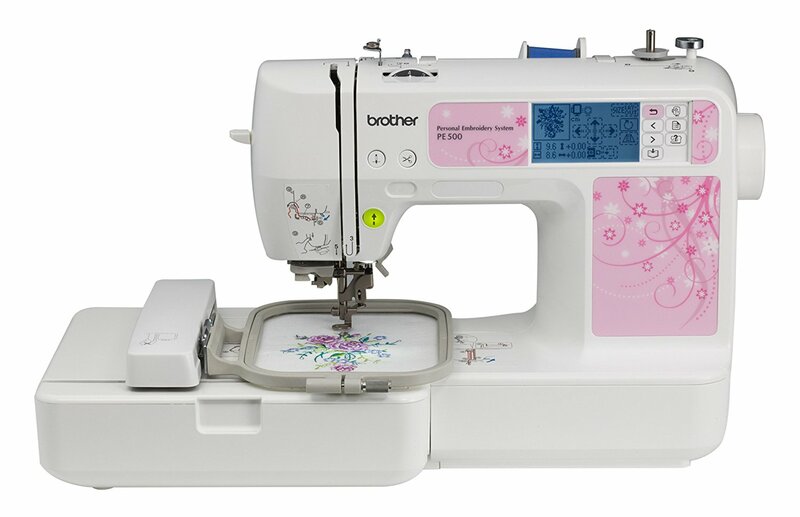 If you desire is a machine for extended use, you can consider the Brother PE770 since it does 850 stitches per minute. Comparing the price and the features, I concluded that it is worth purchasing.